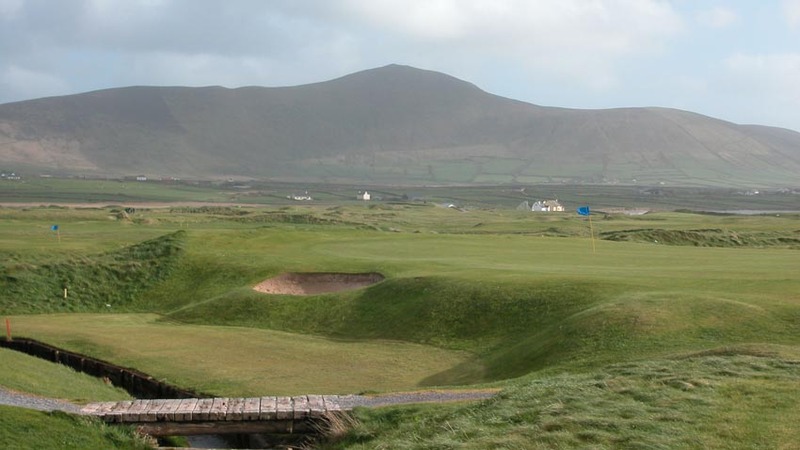 Dingle Golf Links in southwest Ireland, known locally as “Ceann Sibeal”, sits at the edge of the beautiful Dingle Peninsula where Irish is still the language of choice. 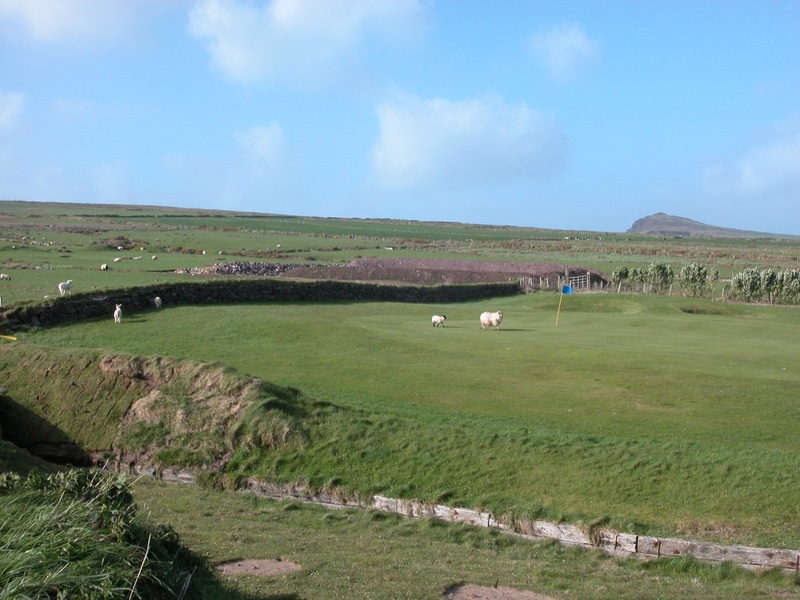 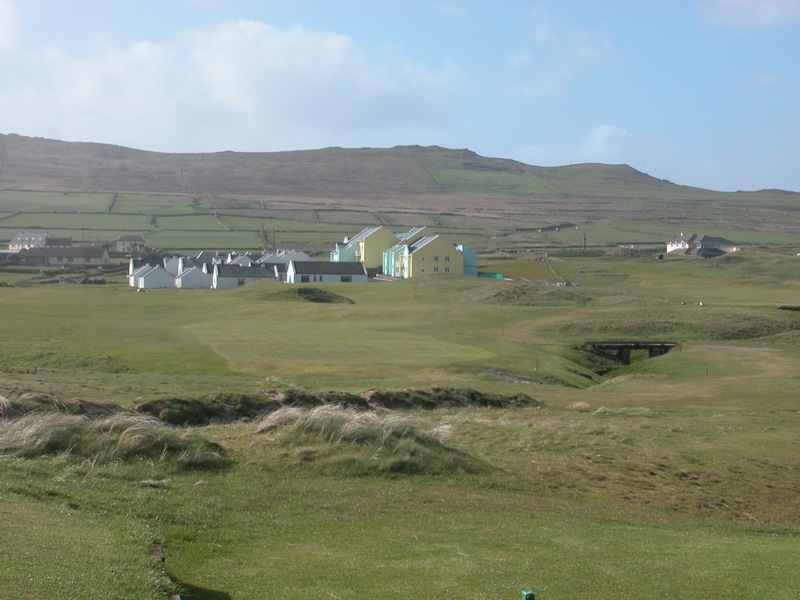 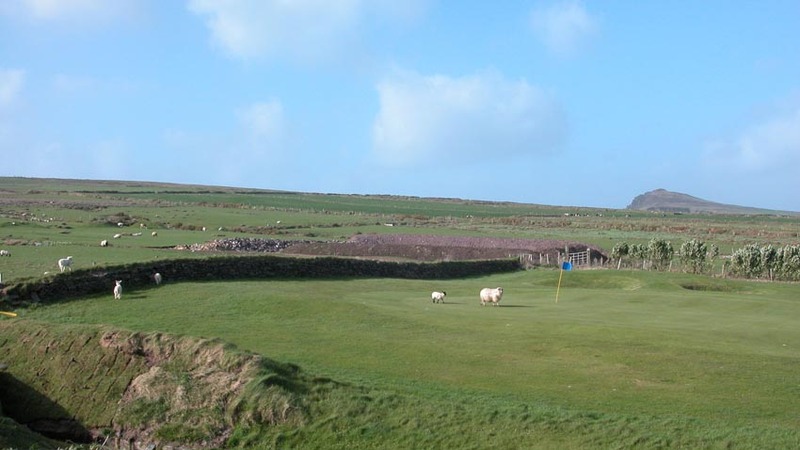 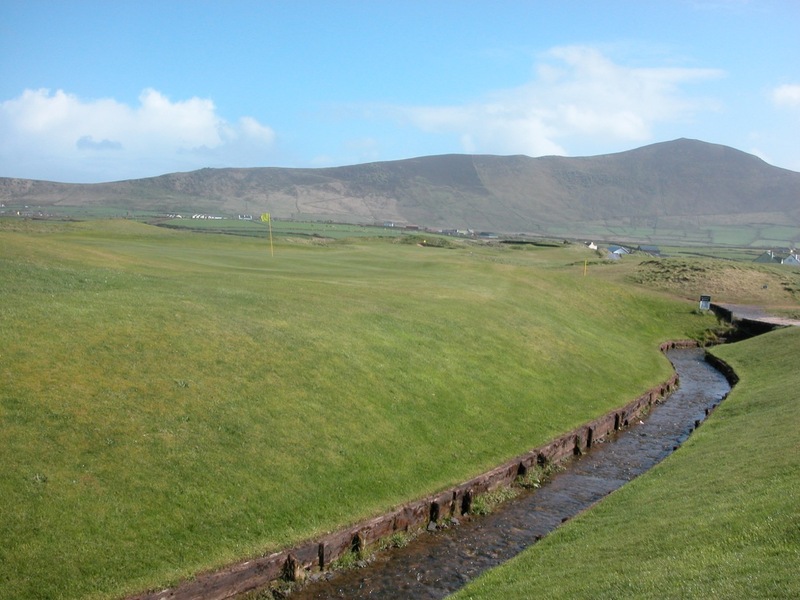 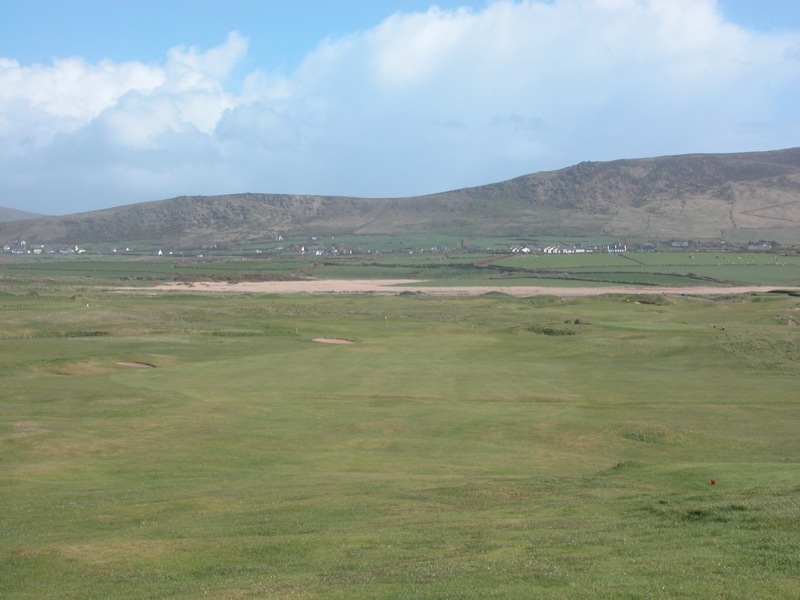 Dingle Golf Links is the westernmost course not only in Ireland but all of Europe. 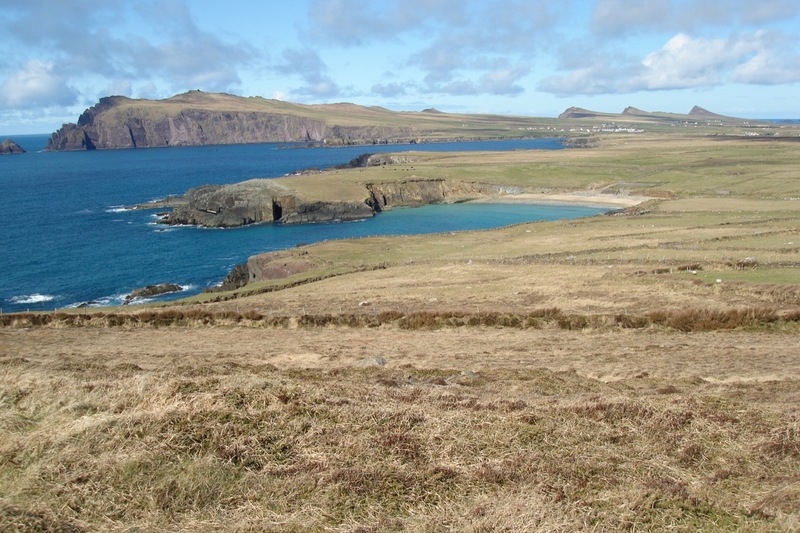 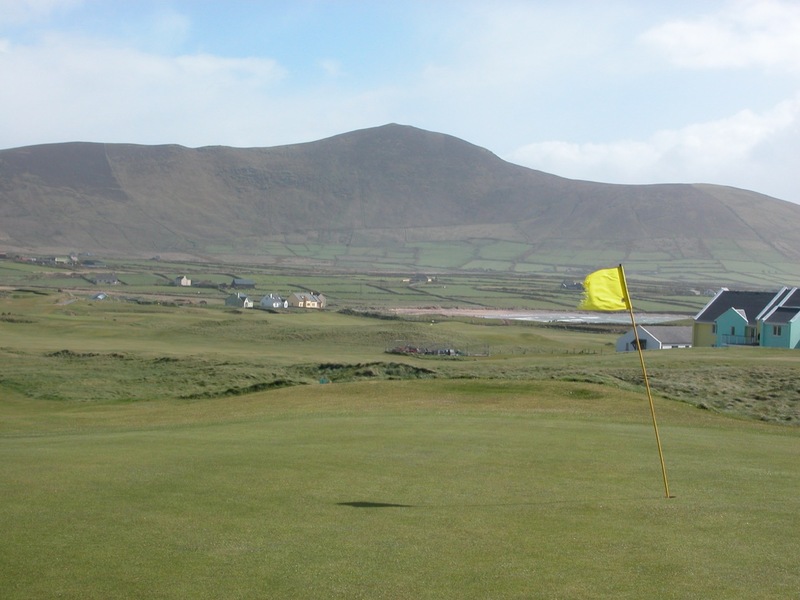 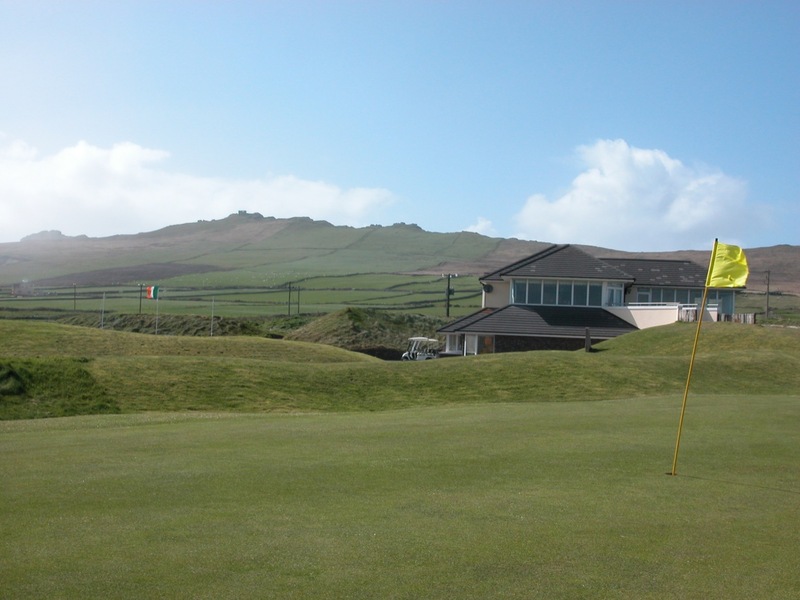 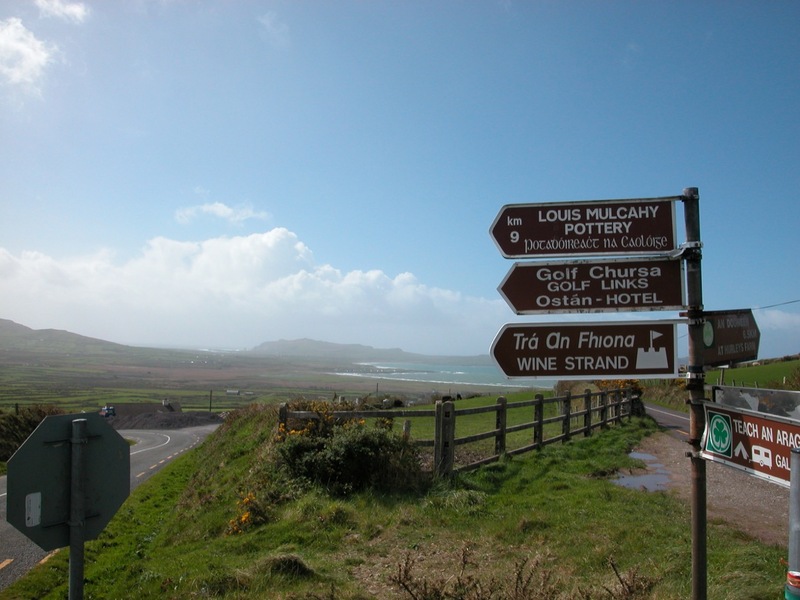 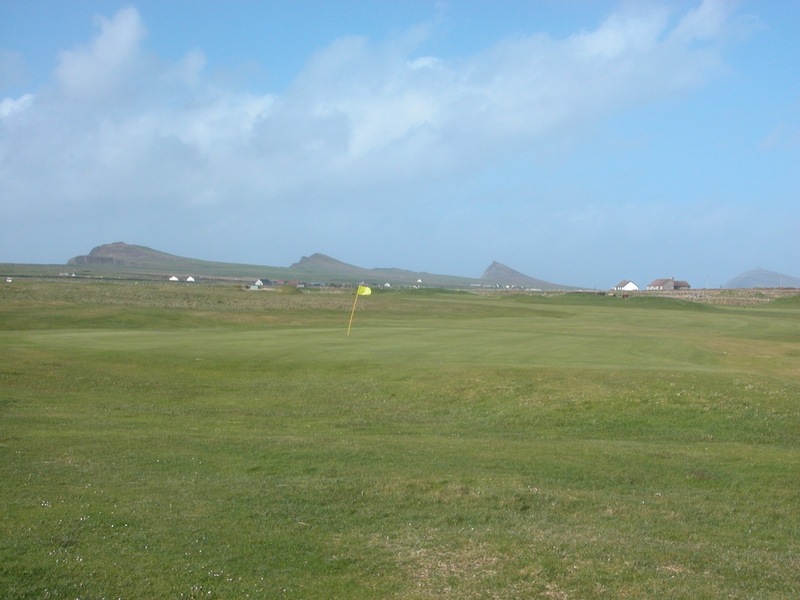 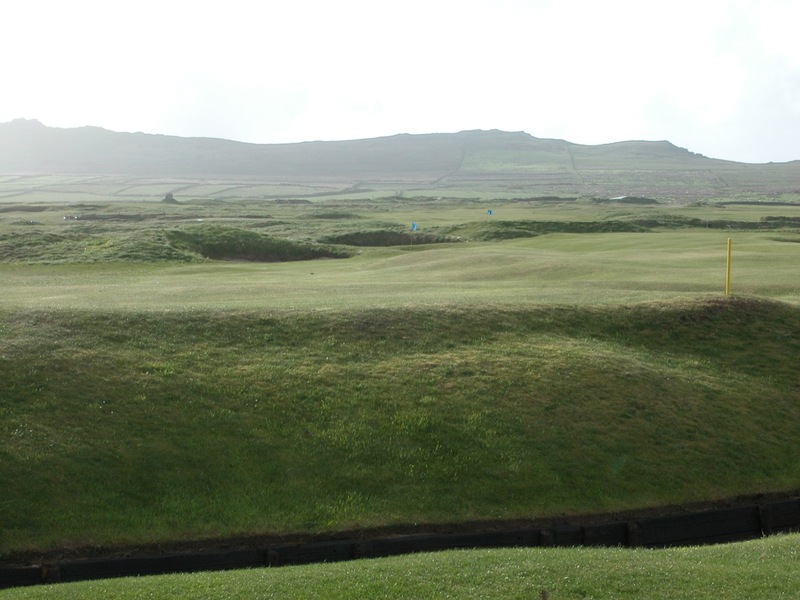 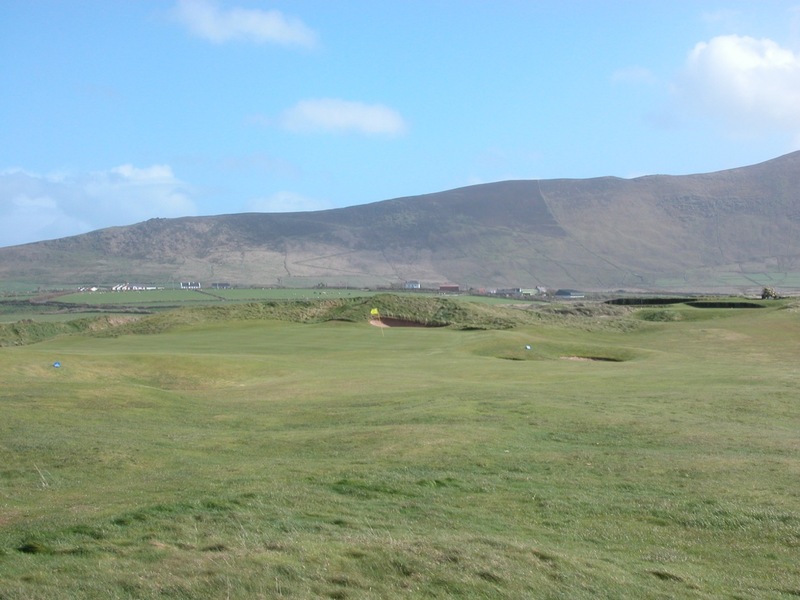 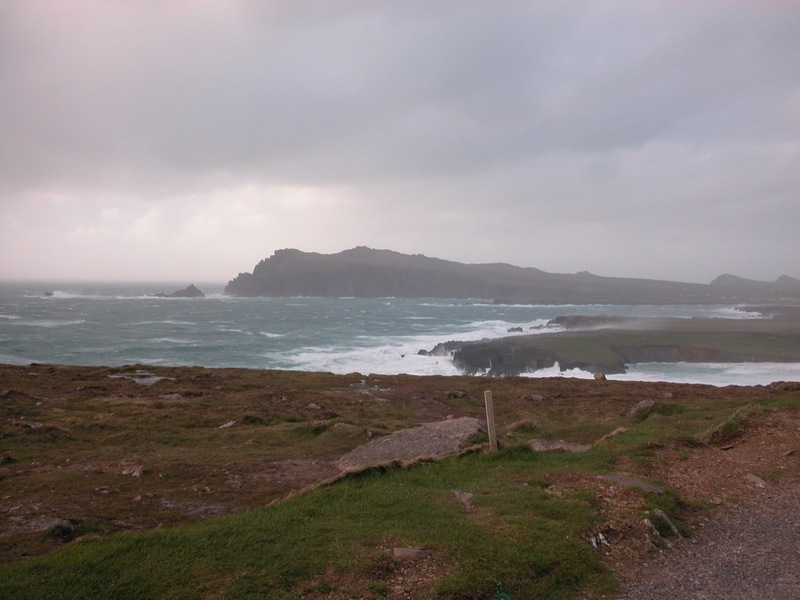 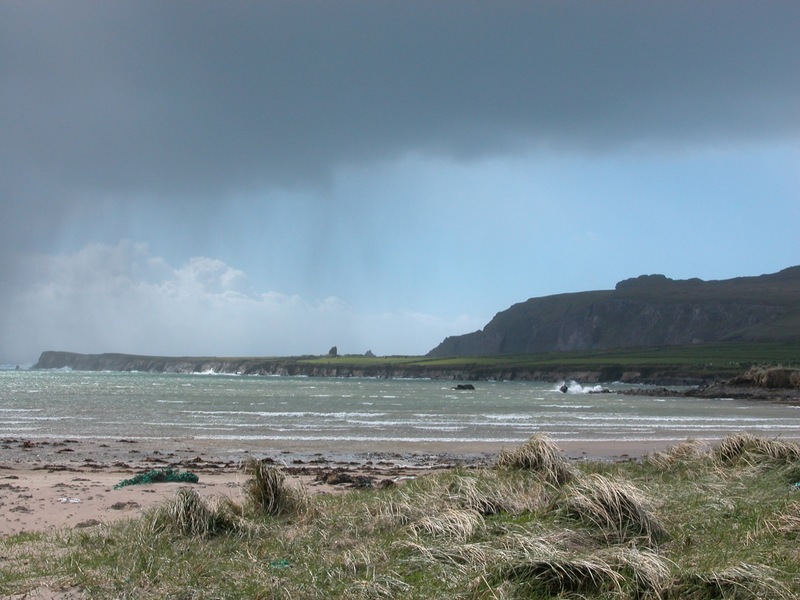 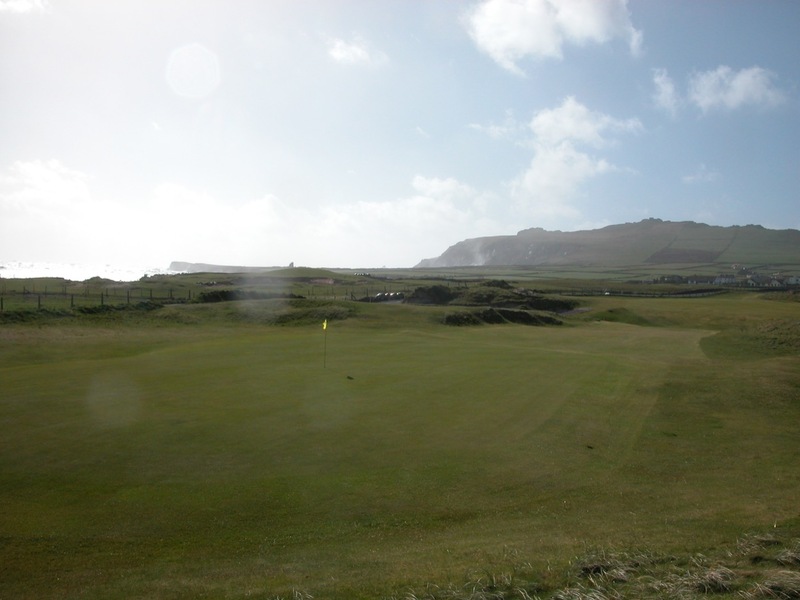 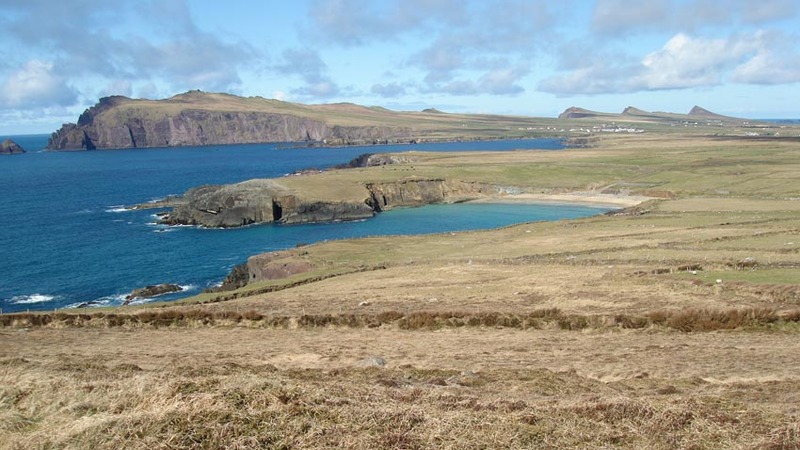 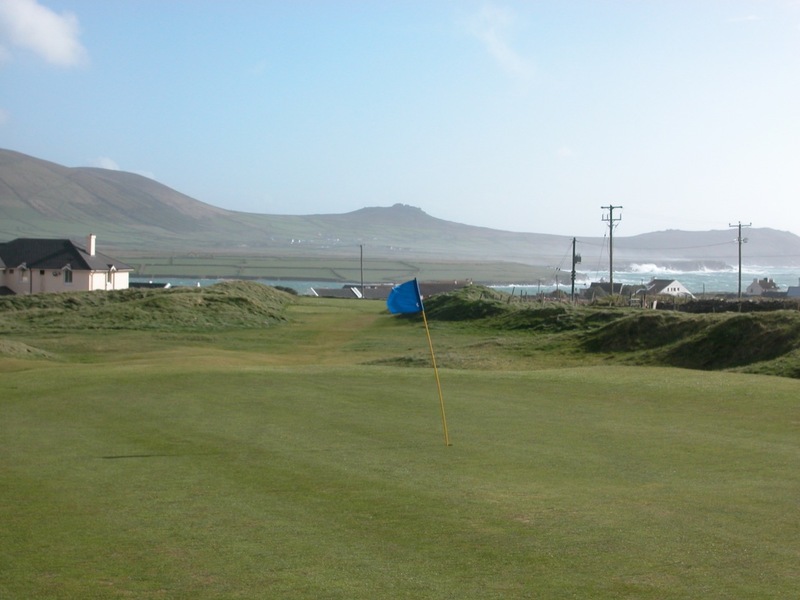 Dingle Golf Links is located beyond the treacherous Connor Pass and near the famous Slea Head, and even without the difficulty in navigation it would not be at all difficult to find yourself lost as most signs lack any English. 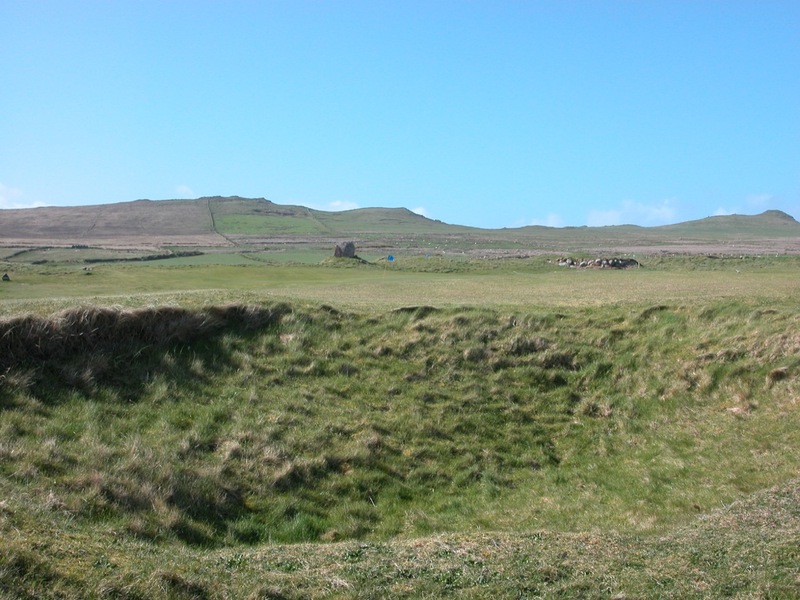 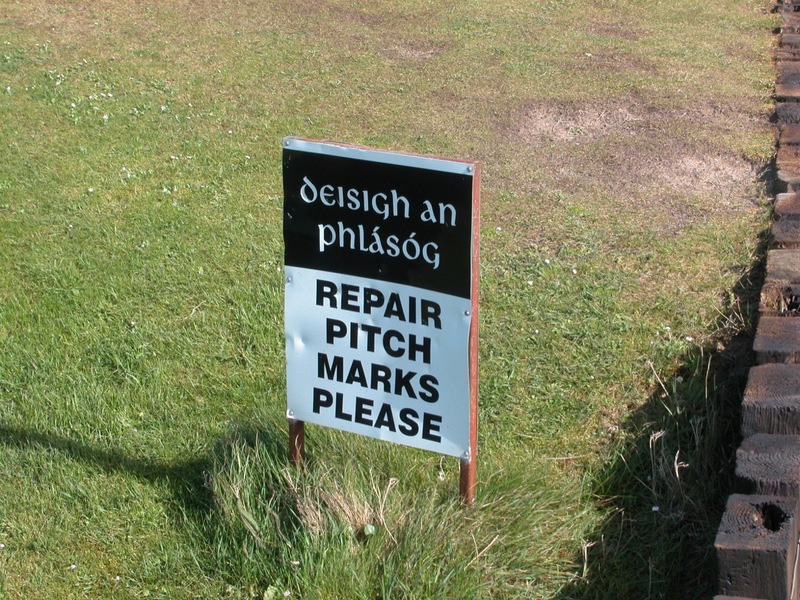 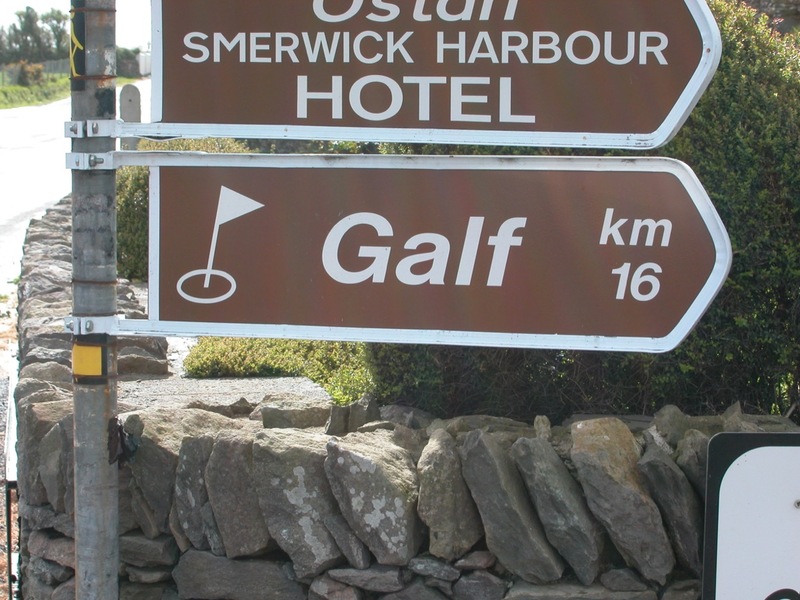 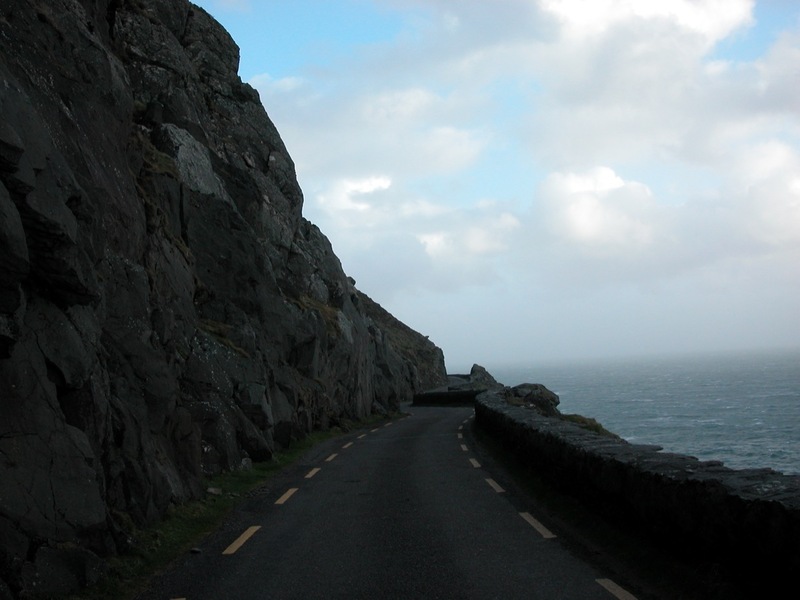 However, “galf” is easily translated, and what awaits at “Ceann Sibeal” once you have navigated the dangerous and gorgeous coastal road is a gloriously natural golf course, entirely cunning, with a devious little burn that lurks seemingly everywhere throughout the round! 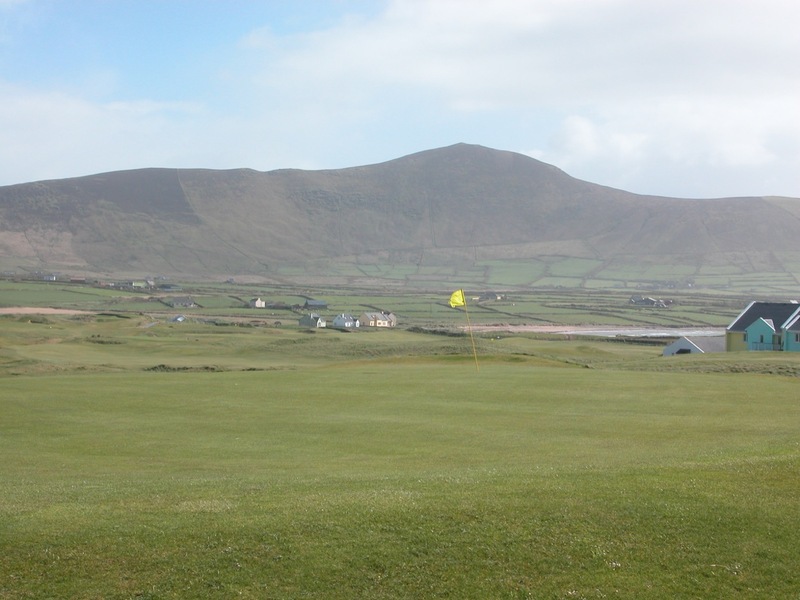 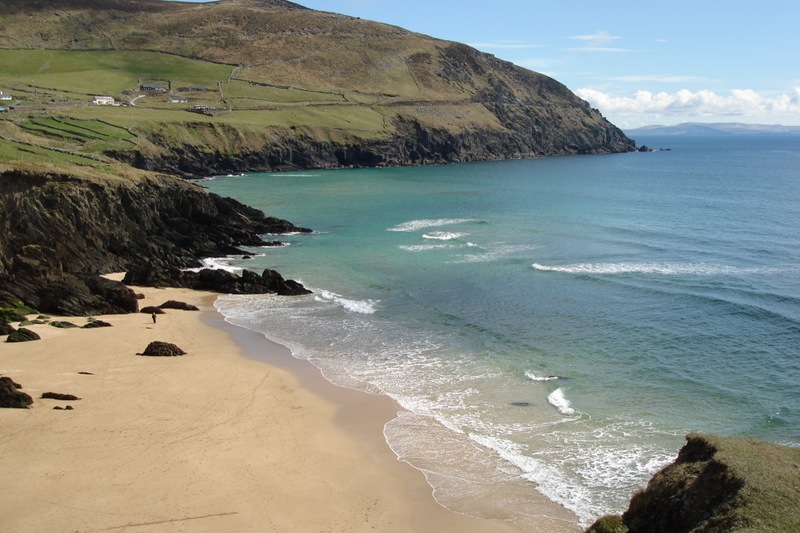 “As you play Dingle Golf Links in Ireland, the whole panorama of the Dingle Peninsula is revealed – hidden bays with small fishing villages, glorious hills and mountains and the Blasket Islands out in the wild Atlantic,” is how the club describes it. 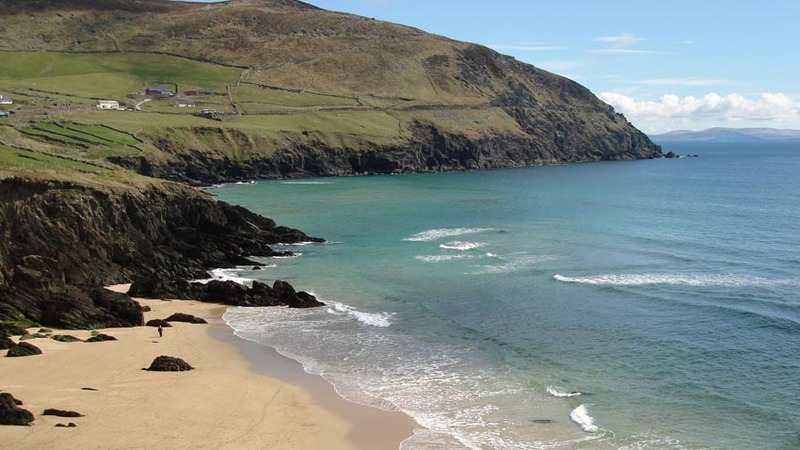 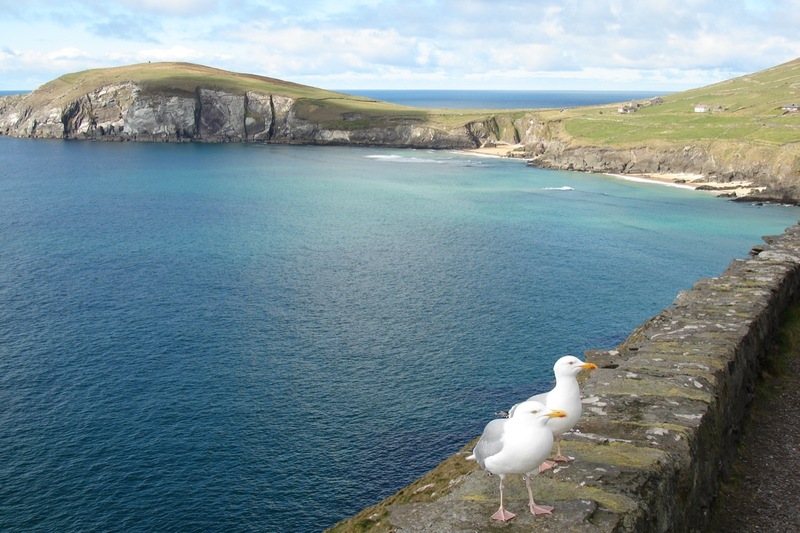 Dingle town itself is a great place to spend the night, with many atmospheric and outstanding pubs and restaurants, and it is also easily reached from Tralee and even Killarney for a day visit. 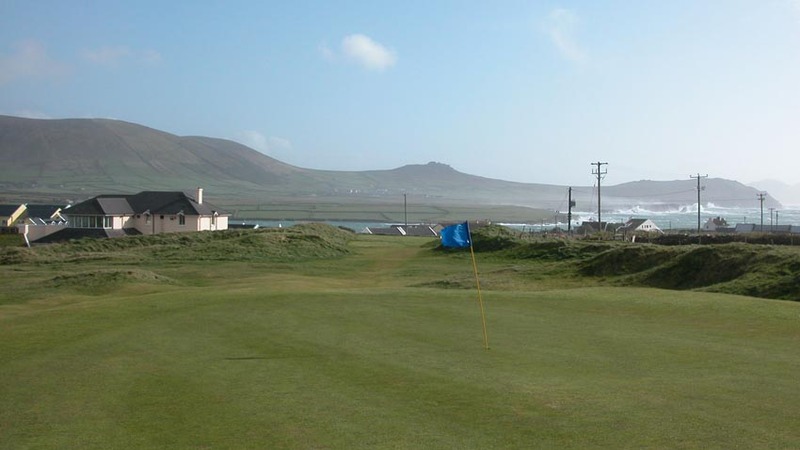 Perhaps the most memorable part of a visit to Dingle Golf Links however is the fact that out here, you escape many of the other tourists who flock to the famous courses of southwest Ireland. 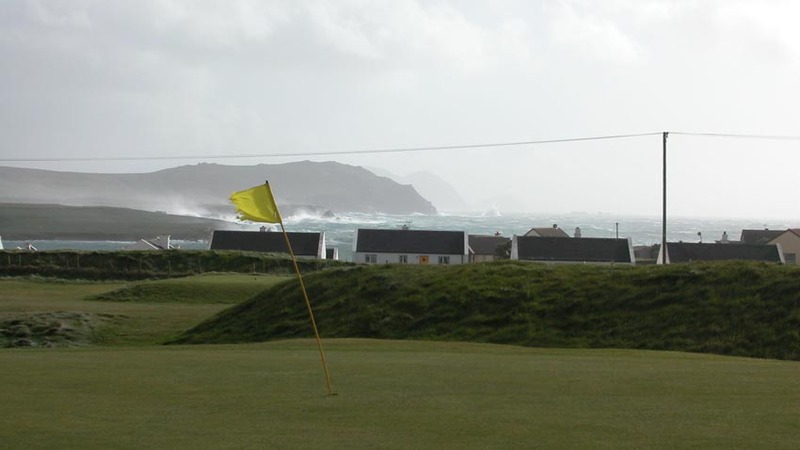 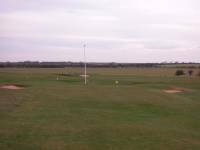 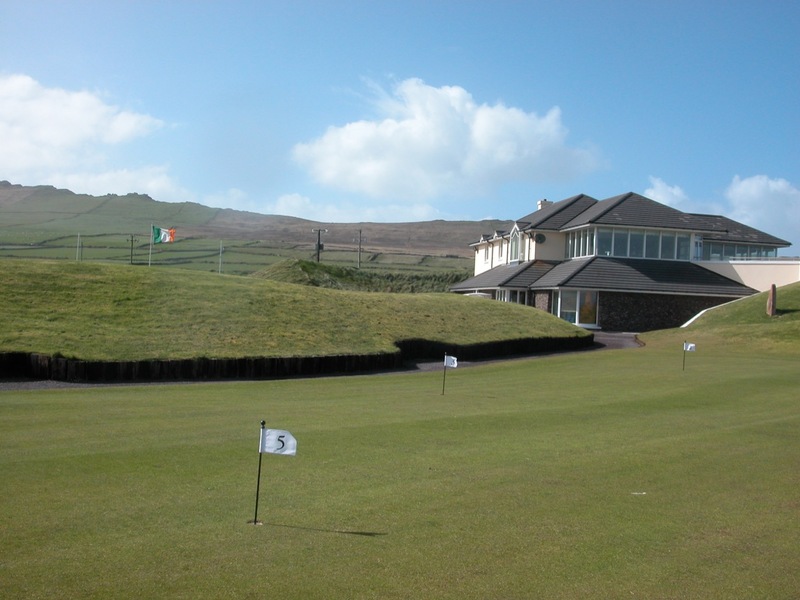 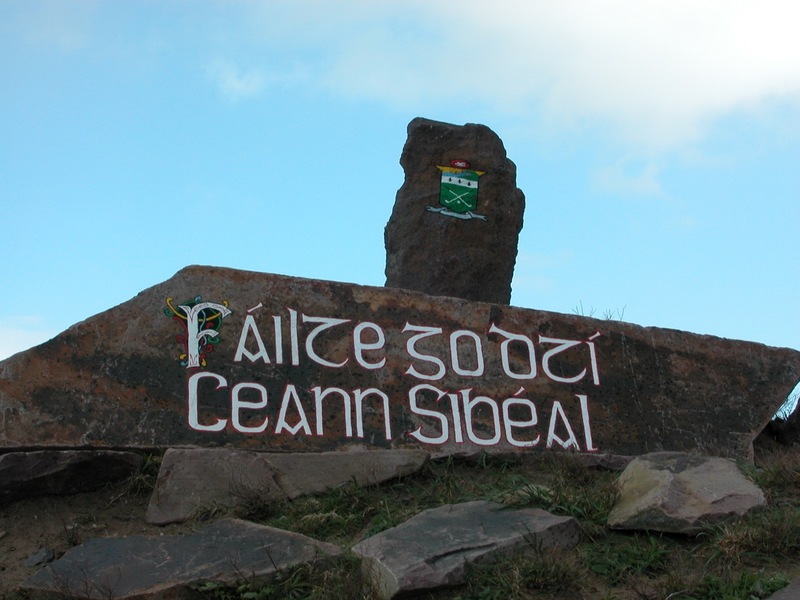 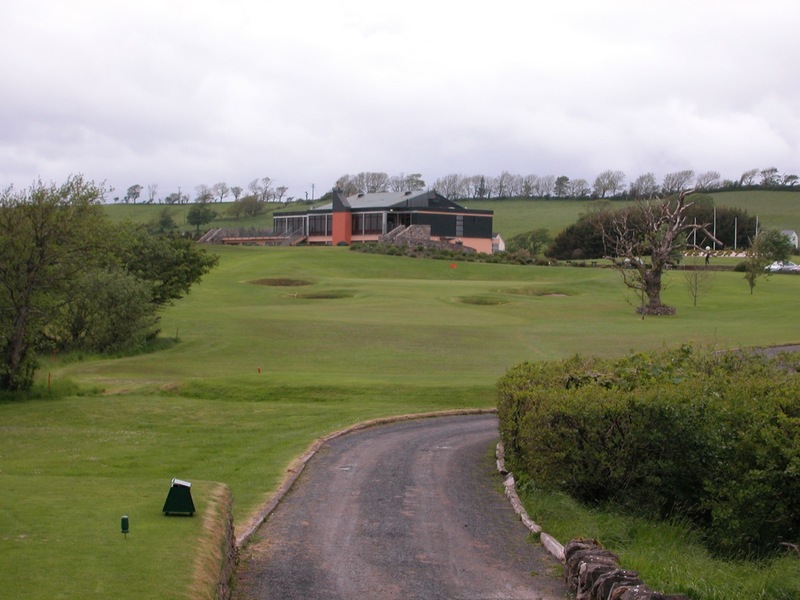 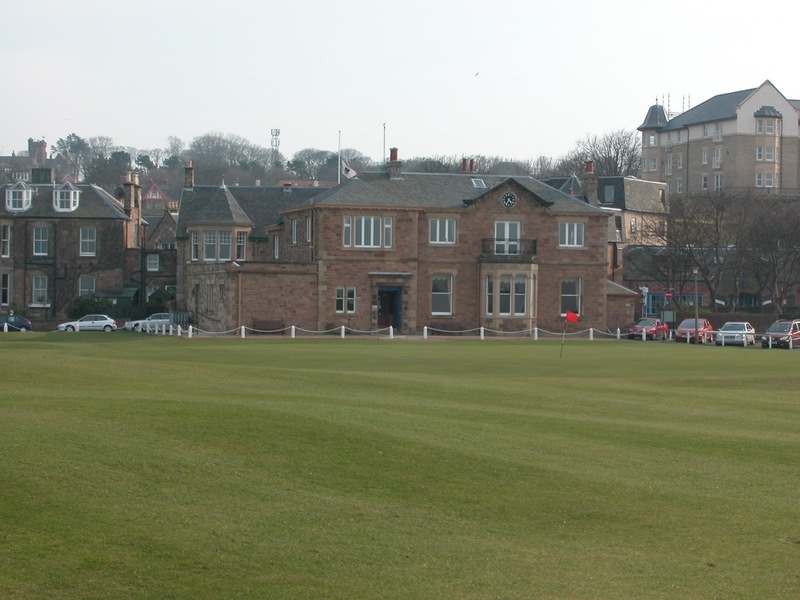 At “Ceann Sibeal”, you have the opportunity to experience Irish golf among the Irish!